"Lord this is so hard but I know you know best I am going to truely miss this lady my sister,friend,my ride or die I could not had a better..."
Heaven will be sweeter and more beautiful, more to be desired because of the entrance through its shining gates of our beloved Sis. Kim D. Carter. She answered the call of her heavenly father on Thursday, August 2, 2018. Kim Manuel Carter was born on August 21, 1957 to the late George and Theresa Jackson Manuel. She was baptized at an early age by the late Rev. Louis Johnson at the Israelite Baptist Church in Lutcher, LA. Kim understood that attending church regularly was not all there was to knowing God but desired a deeper relationship with HIM. She attended Sunday school, bible study and sang in the choir. Kim answered her call to serve on the Deaconess Board knowing that prayer and serving others will not only change her life but the lives of others as well. Kim matriculated through St. James Parish School System and graduated from Lutcher High School. She attended Delgado Community College in New Orleans where she studied Business Administration. Kim married the love of her life, Walter Joe Carter, and to this union two beautiful children were born, Brandy Nicole Carter Shorty (Raymon) and Kyrin Raedell Carter (Shelcia), who she leaves to cherish her memories along with Carisa Russell (Mark) and Antoinette Jones who she raised as her own. She also leaves three grandchildren, Zalon and Zalayia Carter, Raylynn Breion Shorty; one brother- Lionel Griffin; four nieces-April and Caprina Griffin, Shiria Griffin Wallace(Shawn) and Tiffany Griffin; three nephews Damon Griffin(Brisher), Javon Griffin(Amanda) and Aaron Griffin(Terez); one aunt Many Dell Manuel Penny; two uncles- Allen Jackson and Richard Manuel(Shirley; sisters in law Geraldine Pittman, Elizabeth Banks, Octavia Williams, Mavis Mitchell(William), Deidra Griffin and Mary Joseph and four godchildren- Marquise Mitchell, Latasha Gaines, Kellan Manuel, Amber Wilson, and a host of nieces, nephews cousins and friends. 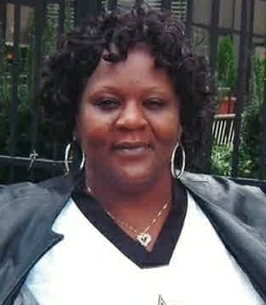 Along with her parents, Kim was preceded in death by her husband, Walter Joe Carter, brother Ronnie Griffin, nephew Ronnie Griffin, Jr., devoted aunt Elsie Mae Jackson, other aunts-Audrey Jackson Kirklin, Vivian Jackson Williams, Ruby Jackson Mitchell, Gloria Manuel Prosper, Yvonne Manuel; and uncles- Eli Jackson Jr., Clarence Jackson, Joseph Jackson, Matthew Manuel Sr., Oscar Manuel, Denis Manuel, Alex Manuel, King Manuel and Clearance Hansley. Employees of Chateau St. James Nursing Home and neighboring churches ae invited to attend a Celebration of her Life on Monday, August 13, 2018 from Israelite Baptist Church, 2192 Alexander St., Lutcher, LA for 10:00am. Viewing begins at 8:00am. Rev. Kevin Fredericks, Pastor and Officiant. Interment St. Joseph Cemetery, Paulina, LA. Treasures of Life Funeral Services entrusted with her final care, 315 E. Airline Hwy, Gramercy, LA. To send flowers to the family of Kim Denise Carter (Manuel), please visit our Heartfelt Sympathies Store.